Gideon Jura ($3.24) Price History from major stores - M12 - MTGPrice.com Values for Ebay, Amazon and hobby stores! 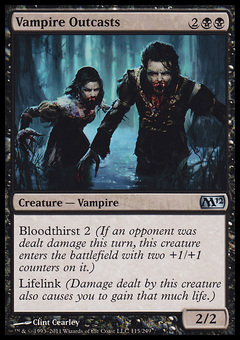 Card Text: +2: During target opponent's next turn, creatures that player controls attack Gideon Jura if able. -2: Destroy target tapped creature. 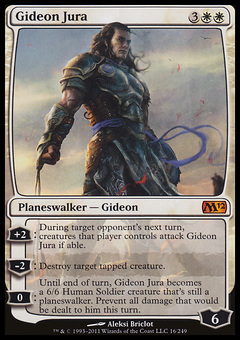 0: Until end of turn, Gideon Jura becomes a 6/6 Human Soldier creature that's still a planeswalker. Prevent all damage that would be dealt to him this turn.